This issue’s cover is from Edward Ardizzone’s Little Tim and the Brave Sea Captain. Brian Alderson discusses this classic picture book, now reissued in a beautiful new edition by Scholastic in ‘Classics in Short’. Thanks to Scholastic Children’s Books for their help in producing this January cover. ‘It wasn’t me, Miss,’ is heard all too often by anyone working in a school. ‘Excuse me’ and ‘I’ll do it’ perhaps less often! 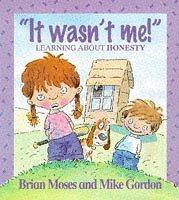 These little books, aimed at primary pupils, will help children understand how important it is to tell the truth, to use good manners and to be responsible in their actions. The funny cartoon-style illustrations show plenty of anarchic behaviour which, no doubt, children will enjoy rather more than the pictures of well-behaved youngsters. However, there are good discussion points, and the illustrations often expand the meaning of the necessarily brief text. 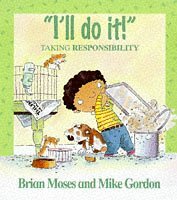 A page of notes will be particularly useful to teachers in PSHE lessons, and each book has a bibliography of additional stories covering similar themes. 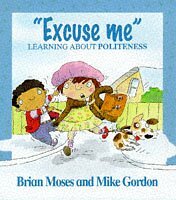 A fourth book in the series is about respect.